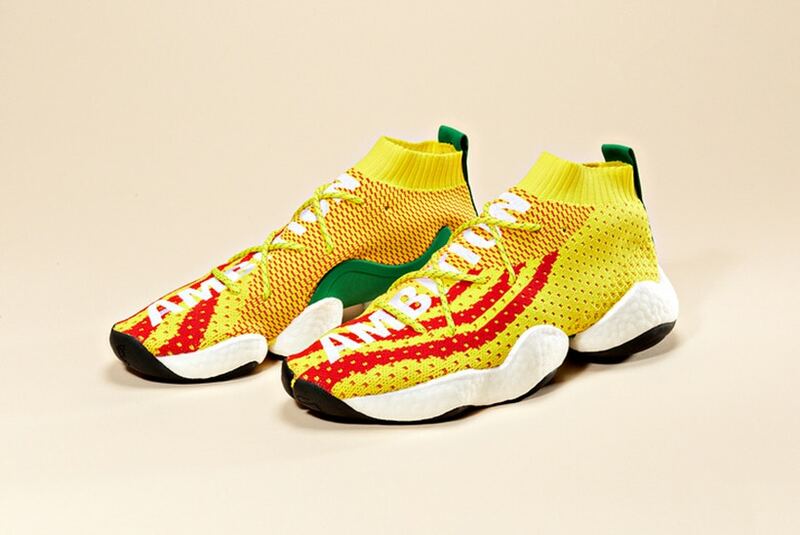 A special Pharrell Williams x adidas BOOST You Wear model has surfaced online that boasts an upper dominating in bright yellow. Its heel tab and medial side paneling are also treated in green while red stripes make their way from the toebox towards the midfoot in a cool wavy pattern. Large lettering returns in white, reading “AMBITION” going up towards the ankle entry, while its BOOST cushioning is also done in white. Dope or Trash?